Nothing screams summer like fresh, mouthwatering produce picked at the peak of ripeness, delivered right to your plate! Unless you’re a farmer and growing it yourself, your only option for freshly harvested produce is to hit the farmers markets. Don’t get me wrong, I love wandering through farmers markets checking out all the brightly colored produce and talking to the farmers but with having kids who participate in all sorts of activities, hitting the farmers markets on a Saturday morning can be a challenge. If you’re like me, you should consider joining a CSA. Never heard of one? Pull up a watermelon and have a seat. CSA is short for Community Supported Agriculture and basically what it means is you pay in advance, for a share (portion) of the farmer’s harvest for a period of time. For the most part, farmers all run their programs quite similarly but there will be some differences. Obviously, the produce the farmer grows varies from one farm to the next but other differences will include the length of the growing season, the cost, where it’s picked up, etc. 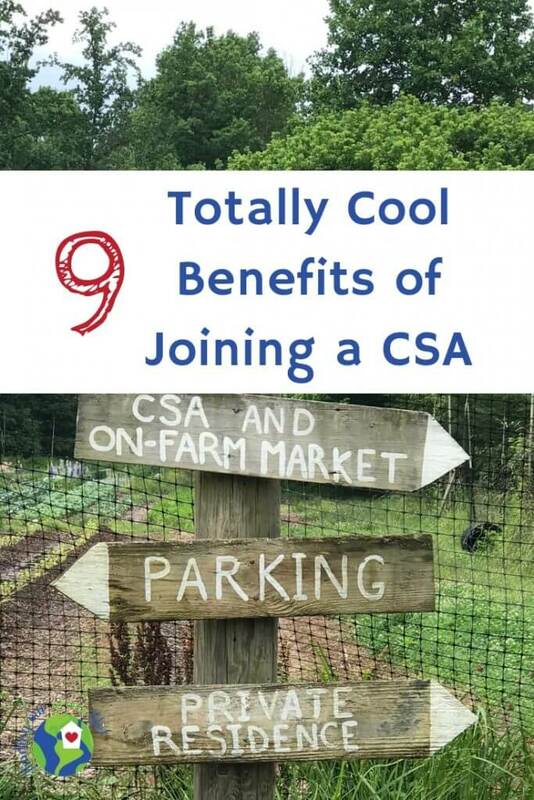 What doesn’t change are the totally cool benefits of joining a CSA. No time to read? Pin it for later. When’s the last time you tried a new vegetable? Nothing has forced me out of my food comfort zone like being a CSA shareholder. My first year participating in a CSA, we got more eggplant than could feed an army. I was not a fan of eggplant, the only way it had previously been presented to me was as ratatouille and I hated it but it kept showing up week after week in my share. I was forced to seek out new ways to prepare it because I had already paid for it. No way, was I wasting the food or my already spent money. I have come to love eggplant, okra, beets, a million different types of greens and a few other things. There are still some things I don’t care for, muscadines being one of them. Thankfully, Pinterest gives me a great place to find all sorts of new recipes and ideas. Follow my Farm Market & CSA board on Pinterest for inspiration. In the world of Amazon, Walmart, Kroger, and all the other big corporations, it’s so important to support local businesses. Small farms don’t have big corporations with deep pockets behind them, it’s up to us as local citizens to support our local farmers and keeping them in business has a ripple effect. Local farms are beneficial to the local economy as well as to the environment. The bee population is in danger and without bees, our food supply is going to shrivel up. I believe our personal gardens and local farms are key to helping reverse this growing problem. You can learn more about the declining bee population and what we can do to help in this blog post. Many small farms plant a larger variety of crops and practice crop rotation to extend the growing season and this, in turn, improves soil fertility, reduces soil erosion, reduces weeds, helps to control pests among other things. Once the farmer (big or small) grows it, they’ve got to transport it. The majority of the produce found in your local grocery store travels upwards of 1300 miles to get there. That’s a lot of gas and energy to get those apples, leeks, spinach, eggplant, etc. to your store shelf. After spending some time in my local farmer’s markets and talking to the farmers, the distance many of them travel to bring their produce to the market is less than 200 miles. Additionally, small farms just don’t use all the chemicals larger farms use which is not only better for the environment but also for our health. For more information about the benefits of organically farmed produce, hop on over to this blog post. The farther the produce has to travel to get to market, the earlier it has to be picked and the more work that has to be done to preserve it. Nothing beats a strawberry picked at just the right time. How many times have you gone to the grocery store and seen strawberries with white spots on them? Those aren’t going to be very tasty. Some fruits and vegetables can continue to ripen after being picked but I don’t know that that guarantees an improvement in taste. When I was in high school, I worked at the most wonderful farmer’s market. Perhaps my love of local produce was cultivated there. I just love talking to farmers. Hearing how they decide what to grow, how they do so well at it (my thumb is no shade of green) and all the crazy stories they have, I find it all so interesting. I love that I can talk to the real person who grew the food, ask about different ways to prepare it and what health benefits it has. The other important piece you can ask them about is their growing practices, how they promote crop growth and most importantly, how they keep the pests away. Becoming a certified organic farm is extremely expensive and time-consuming so even though a farm may not be certified organic (if that matters to you), the farmer may still follow organic farming practices which still benefits the consumer. Whether you don’t have the time, space, energy, desire or green thumb to grow your own fruits and vegetables, you can still enjoy the tasty benefits. Thankfully there are folks out there who put in the time, money, sweat and blood (because I’m sure they get their fair share of scratches and cuts) to farm because I just can’t. One of the most peaceful places I’ve found is my local CSA farm. It’s not far from my house, maybe about 5 minutes but tucked behind some homes down a dirt road is this beautiful, peaceful, quiet farm. I look forward to my visit every week, not so much if it’s pouring rain but I will always happily go. As with any local business, when you support local, you support your community. Studies show that of the dollars spent with a local business, significantly more remain in the community as opposed to a chain retailer. Local businesses pay taxes in the community, pay wages in the community, buy supplies from the community, etc. They also spend their profits in the community. When produce has to be transported a long distance, it has to be irradiated to kill any germs and then add preservatives. I feel the more “technology” that we can keep out of the food supply, the better off we probably are. I like my strawberries without a side of chemicals. The other consideration is the loss of nutritional value. Once fruit and vegetables are picked from their food source (the vine, tree, plant), they begin to lose nutritional value. Not to mention the soil of today is much different than the soil of 100 years ago which was much richer in nutrients. I find that I’m much more likely to eat vegetables when I already have them vs planning a meal and then shopping for them. Again, it comes back to the idea that I’ve already paid for it, I’m not going to waste it. So are you ready to sign up for a CSA? As I mentioned, the farm I go to (Cane Creek Farm) is not far from my house but if I was just starting my hunt, I would check out the websites listed below, ask around in the community, and attend local farmer’s markets and ask there. Then take a visit out to the farm to get a sense of what they grow, how their program works, how much food are you going to get, etc. 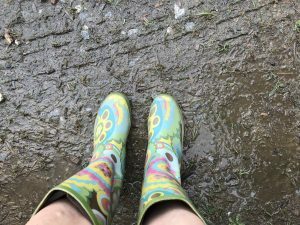 Joining a CSA can be a risk, Mother Nature can be finicky, some seasons there will be more produce than you can handle, other seasons, the harvest might be more sparse. In years past when Mother Nature hasn’t quite cooperated, “my farmer” has worked with other local farms to fill in the gaps. It really is a community. I hope if you don’t already belong to one, you’ll think about checking out some local farms in your community. Different parts of the country can yield such different varieties of produce. If you do belong to a CSA, I’d love to hear what types of fruits and vegetables you get through yours. I never heard of community supported agriculture but I am so glad I know what it is now! We will be moving to a new area in a few months and I hope I can find a farm close by to our house because this seems like a great thing to be apart of! It’s always so nice to go out to the farm and see what’s happening. The farm I go to is so peaceful and I love seeing all the veggies growing. I hope you find one that you love. I can imagine you had all kinds of options in CA. I hope you find one nearby to you that’s awesome! I love getting our CSA! We’ve been getting one for a few years now, and it’s really fun. I enjoy gardening and growing some of my own food, but I also enjoy supporting local farmers. The farm we get ours from actually has an organic apple orchard, so we get apples and cider in the fall. That’s the best part for me because I love fruit and usually buying it organic is really expensive. I love supporting the local farming community, especially since my thumb is not exactly green. Yes, yes, yes to all of this! Thank you for spreading the good word about supporting local farmers! We grow the majority of our own food, but we try to buy the rest from a local co-op that partners with local farmers 🙂 I’m happy to hear that you’ve had such a good experience with your local CSA program! I only wish I could grow my own. I just love our local farmer, she’s such an awesome lady.